Bacteria are single-celled microorganisms, and most bacterial species are either spherical (called cocci) or rod-shaped (called bacilli). The 3D rendering on the left shows bacilli bacteria. Antibiotics are natural substances secreted by bacteria and fungi to kill other bacteria that are competing for limited nutrients. (The antibiotics used to treat people today are typically derivatives of these natural products.) Scientists are dismayed to discover that some bacteria have become resistant to antibiotics through various alterations, or mutations, in their DNA. Hospitals have become a breeding ground for antibiotic resistant bacteria. These bacteria proliferate in an environment filled with sick people who have poor immune systems and where antibiotics have eliminated competing bacteria that are not resistant. 2. By using a built-in design feature to swap DNA (called horizontal gene transfer)—bacteria share resistance genes. An antibiotic kills a bacterial cell by simply disrupting a critical function. This is achieved in the cell in much the same way that a saboteur can cause a massive jetliner to crash by simply cutting the hydraulic lines. Antibiotic resistance of bacteria only leads to a loss of functional systems. 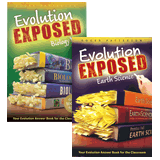 Evolution requires a gain of functional systems for bacteria to evolve into man. The antibiotic binds to a protein so that the protein cannot function properly. The normal protein is usually involved in copying the DNA, making proteins, or making the bacterial cell wall—all important functions for the bacteria to grow and reproduce. Although the mutant bacteria can survive well in the hospital environment, the change has come at a cost. The altered protein is less efficient in performing its normal function, making the bacteria less fit in an environment without antibiotics. Typically, the non-mutant bacteria are better able to compete for resources and reproduce faster than the mutant form. Let’s look at a famous example to help clarify this. During the anthrax scare shortly after the September 11, 2001, attacks in the U.S., Ciprofloxacin (Cipro) was given to potential victims. Cipro belongs to a family of antibiotics known as quinolones, which bind to a bacterial protein called gyrase, decreasing the ability of the bacteria to reproduce. This allows the body’s natural immune defenses to overtake the infectious bacteria as they are reproducing at a slower rate. Quinolone-resistant bacteria have mutations in the genes encoding the gyrase protein. The mutant bacteria survive because the Cipro cannot bind to the altered gyrase. What Does It Really Prove? The mechanisms of mutation and natural selection aid bacteria populations in becoming resistant to antibiotics. However, mutation and natural selection also result in bacteria with defective proteins that have lost their normal functions. 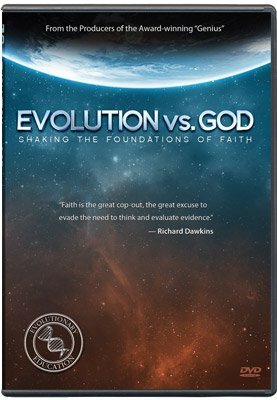 Evolution requires a gain of functional systems for bacteria to evolve into man—functioning arms, eyeballs, and a brain, to name a few. Mutation and natural selection, thought to be the driving forces of evolution, only lead to a loss of functional systems. Therefore, antibiotic resistance of bacteria is not an example of evolution in action but rather variation within a bacterial kind. It is also a testimony to the wonderful design God gave bacteria, master adapters and survivors in a sin-cursed world. 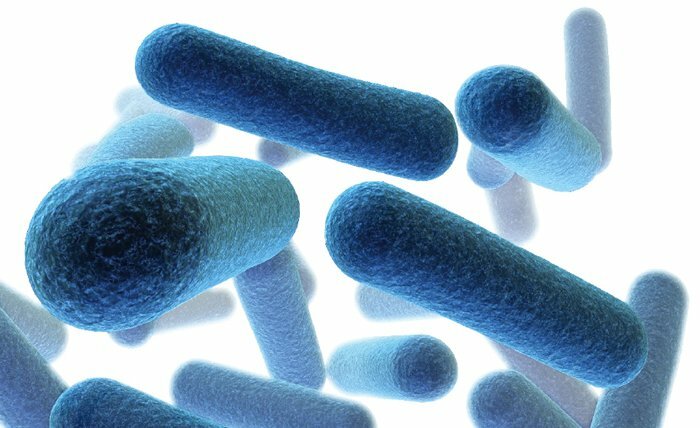 Are all bacteria bad? 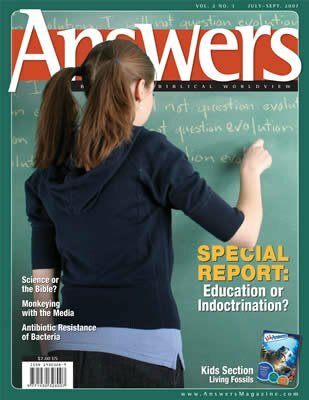 Visit www.answersmagazine.com/go/bacteria-good-or-bad to find out. Thompson, Burt, Bacterial antibiotic resistance­: proof of evolution? www.apologeticspress.org/articles/439. Antibiotic resistance:­ How did we get to this? the Fleming Forum, flemingforum.org.uk/slides/antibiotic_resistance.pdf. Heddle, Jonathan and Anthony Maxwell, Quinolone-binding pocket of DNA gyrase: role of GyrB, Antimicrobial Agents and Chemotherapy 46(6):1805–1815, 2002. Barnard, Faye and Anthony Maxwell, Interaction between DNA gyrase and quinolones: effects of alanine mutations at GyrA subunit residues Ser83 and Asp87, Antimicrobial Agents and Chemotherapy 45(7):1994–2000, 2001. For a more technical review of antibiotic resistance see Anderson, Kevin, Is bacterial resistance to antibiotics an appropriate example of evolutionary change? Creation Research Society Quarterly 41(4):318–326, 2005, www.creationresearch.org/crsq/articles/41/41_4/2005v41n4p318.pdf. Molbak, Kare, et al., Increasing quinolone resistance in Salmonella enterica serotype Enteritidis, Emerging Infectious Diseases 8(5), 2002, www.cdc.gov.mill1.sjlibrary.org/ncidod/eid/vol8no5/01-0288.htm. For more information on antibiotic resistance and natural selection see Purdom, Georgia, Is natural selection the same thing as evolution? in The New Answers Book, ed. 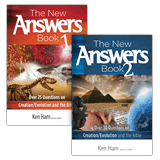 Ken Ham, Master Books, Green Forest, Arkansas, 2006.